It’s not every day you get to order a footlong crap for lunch, but if you really fancy such a delicacy you’d do best to head to Dubai, where it can be found on the Subway menu. YUMMY! 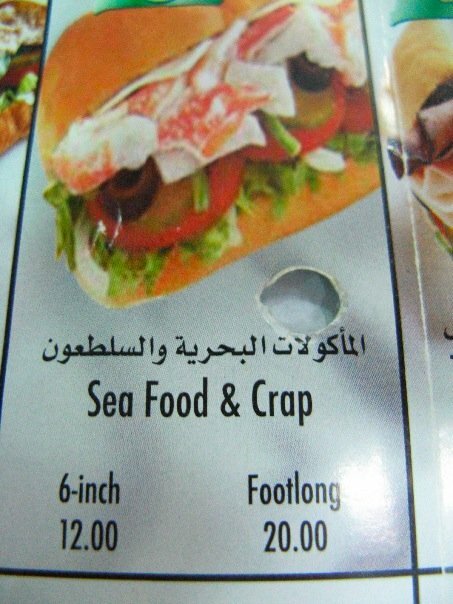 I’m not sure if you can still order a seafood and crap sandwich for your lunch in Dubai, but I really hope so. I really do hope so. Get more crap on the Burqalicious facebook page!